This is great family run hotel to stay for calm and relaxing vacation. 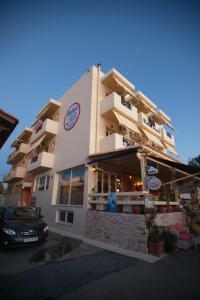 Babis is great host and they will do best to make your stay comfortable and relaxing. It is right at the beach - just few steps to the sea. Few nice tavernas are just few steps far, otherwise you may enjoy ice cream, drinks or tasty coffee right downstairs in Babis cafe. directly at the beach> you'll find sunbeds, umbrellas, a shower and a hammock at the beach, for free. internet is provided, the bar serves drinks and the whole atmosphere is most relaxing and welcoming. 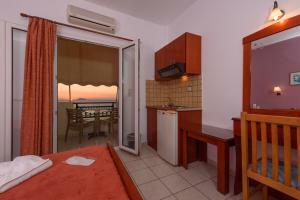 Located on the sea front with own sun beds. A lot oft Restaurants close by. We have stayed here on numerous occasions and we have never been disappointed. 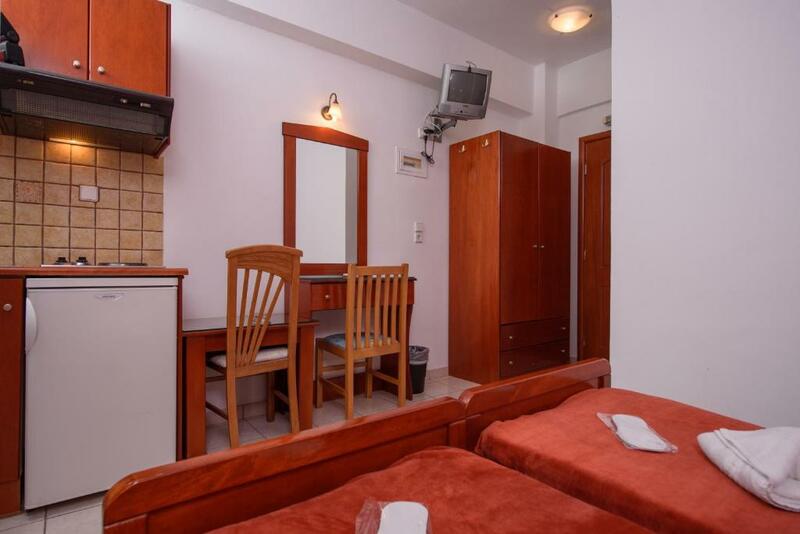 Babis is an excellent host, the accommodation is spotlessly clean and the internet is good. We have stayed at Babis Studios on numerous occasions. Babis is always helpful and very pleasant. The rooms are comfortable, well maintained and have everything you need. The view is simply stunning. Although there are bars, cafes tavernas nearby, we have never been troubled by noise. The location is excellent for visiting the numerous beaches, archeological sites etc in this area. Good localization with private beach. On the beach you can use free umbrelas and sunbeds. Hotel service is very nice and helpful people. There are many tasty taverns nearby. 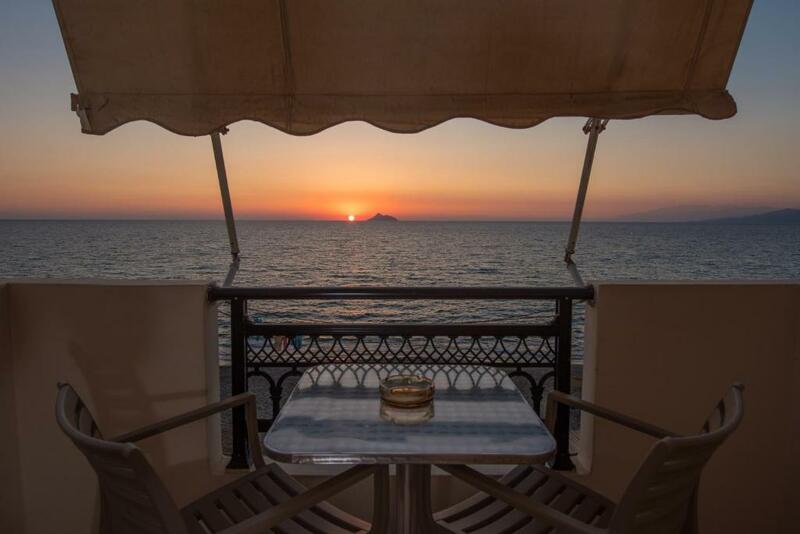 Kalamaki city, ideal for relaxing in peace and quiet ! Das Hotel lag direkt am Strand. Bequeme Betten. Freundliches Personal. Gute Einkaufsmöglichkeiten direkt im Zentrum gelegen. Viele Restaurants am Strand. Lock in a great price for Babis Studios – rated 8.1 by recent guests! 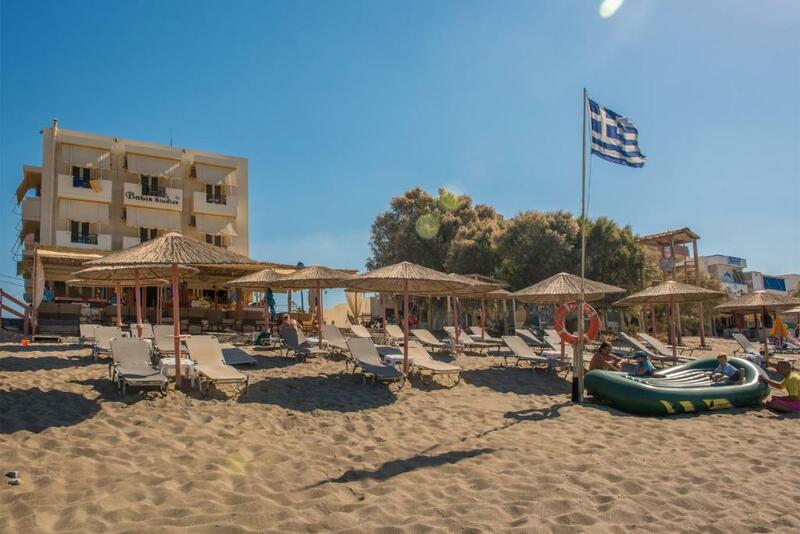 Babis Studios is located just 50 feet from its private beach area in Kalamaki with free sun loungers and umbrellas. 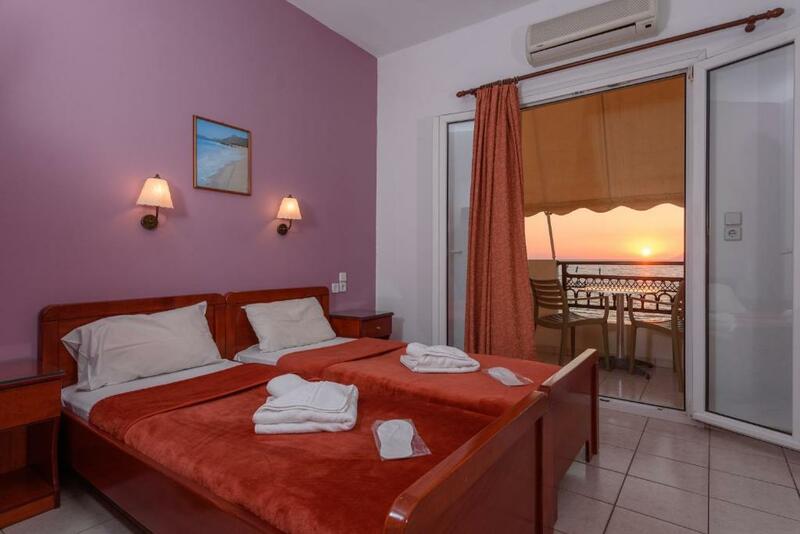 It features self-catered accommodations overlooking the Libyan Sea. Free Wi-Fi is provided. All studios are bright, air conditioned and open out to a balcony. Each has a kitchenette with a mini fridge, 2 cooking hobs and kitchenware. A TV and hairdryer are included. Guests can start their day with a continental breakfast or order a drink from the bar while enjoying sea views. Traditional taverns and a mini market can be found within a short walk. Babis Studios lies around 7.5 mi from Mires Village and 5.6 mi from the village of Tymbaki. The town of Heraklio with the port and the international airport is 42 mi away. Free parking is possible on site. When would you like to stay at Babis Studios? 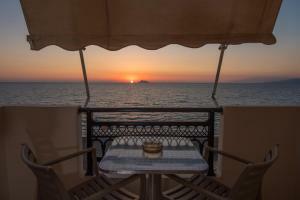 Just 66 feet from a private beach with sun loungers, this air-conditioned studio enjoys Libyan Sea view from its balcony. It features a kitchenette, free WiFi and a TV. Please note that some studios offer side sea view. 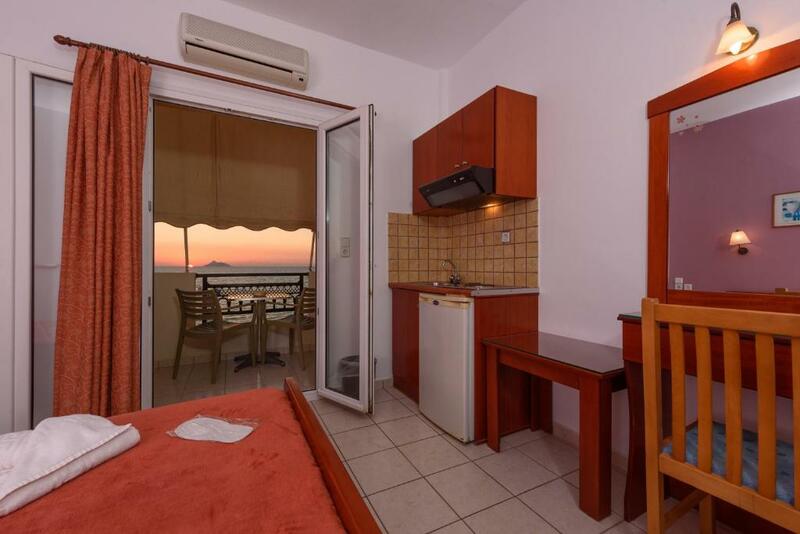 Just 66 feet from a private beach with sun loungers, this air-conditioned studio enjoys Libyan Sea view from its balcony. It features a kitchenette, free Wi-Fi and a TV. Babis studios are located in the Village of Kalamaki and it's only 10 meters from the sea. Our friendly service and family atmosphere guarantee a pleasant stay. Also we have Free Wifi Internet for our customers. The biggest attraction of the place is the wonderful beach of fine sand, the free loungers and parasols. The beach at Kalamaki is also a nesting site of rare and protected Caretta Caretta sea turtle-. If you're lucky, you can see slip from August to October, the little ones at. House Rules Babis Studios takes special requests – add in the next step! Babis Studios accepts these cards and reserves the right to temporarily hold an amount prior to arrival. Please inform Babis Studios of your expected arrival time in advance. You can use the Special Requests box when booking, or contact the property directly using the contact details in your confirmation. Studio room was smaller than in photos. Put us in a small twin room until we complained. Hard bed. AC hood but positioned to blow on one's head. Tiny old TV. Charged the room tax even when pointed out that it was included in the booking.com quote. Was only 1E but better in my pocket. Location. Directly on the beach.